Night view of the Leaning Tower of Niles in Chicago. 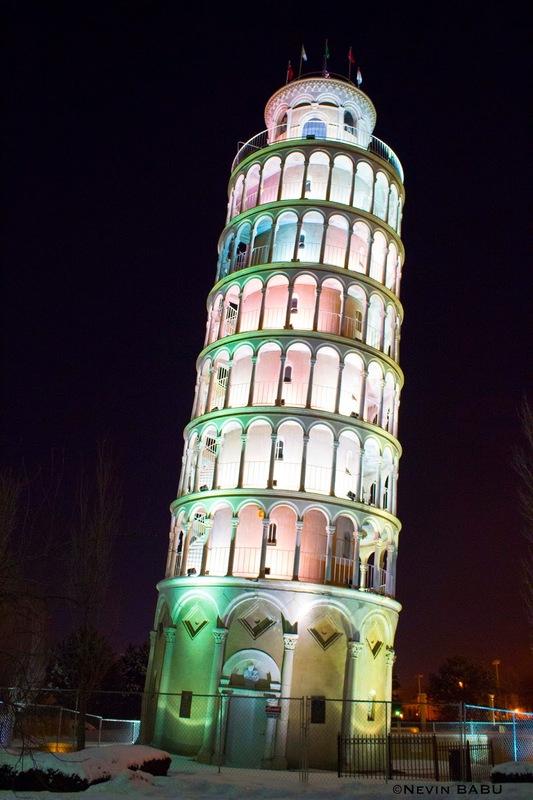 The Leaning Tower of Niles is a half-size replica of the Leaning Tower of Pisa. Located in Niles, Illinois, it was completed in 1934 by industrialist Robert Ilg as part of a recreation park for employees of the Ilg Hot Air Electric Ventilating Company of Chicago. It is roughly half-sized, 94 feet and leans about 7'4" off plum. I did not know about this. Strange but I like the colors.